What is the ICP Investor Network? ICP’s Investor Network offers investors a means to promote ICP while extending brand awareness and connecting with project originators and program partners. The core feature and requirement of the program is the Investor Network endorsement (below). This endorsement consists of agreeing to formally recommend the use of the ICP Protocols and Credentialing System as best practices for originating energy efficiency projects. As an Investor Network member, organizations consent to the use of the member’s logo and name in the ICP Investor Network page on www.EEperformance.org. It is also highly encouraged that participating organizations display the Investor Network logo and declaration on participant’s website. Sample content is available for members wishing to include additional web content promoting ICP on their own websites. While these special offers are not required in order to join the Investor Network, ICP will highlight and feature these offers and the providing organizations on the ICP website and in ICP communications. What Does Joining the Investor Network Mean? [ORGANIZATION] recommends the use of the Investor Confidence Project (ICP) Protocols and Credentialing System as a best practice for the development of energy efficiency projects. Projects that are certified as Investor Ready Energy Efficiency ™ (IREE) provide investors and building owners with a new level of confidence in project performance and investment returns, while reducing transaction costs typically associated with underwriting energy projects. We are looking forward to working with our Investor Network partners to standardize the industry leading to increased deal flow and reduced transaction costs. We view this partnership as an initial step in transforming the EE marketplace from the smattering of one-off projects it is today to a true marketplace where projects can be aggregated into portfolios, traded on secondary markets, evaluated by rating agencies and even securitized. ICP Protocols leverage industry accepted standards and best practices, resulting in reliable engineering and returns. Standardized documentation will help streamline underwriting, and will reduce due diligence based transaction costs. Credentialed Project Developers have been trained and vetted to originate reliable and high quality projects. Independent technical review by Credentialed Quality Assurance providers ensures IREE projects are fully compliant with ICP Protocols. ICP Investor Ready Energy Efficiency™ brings confidence in project fundamentals, resulting in higher approval rates with less overhead. 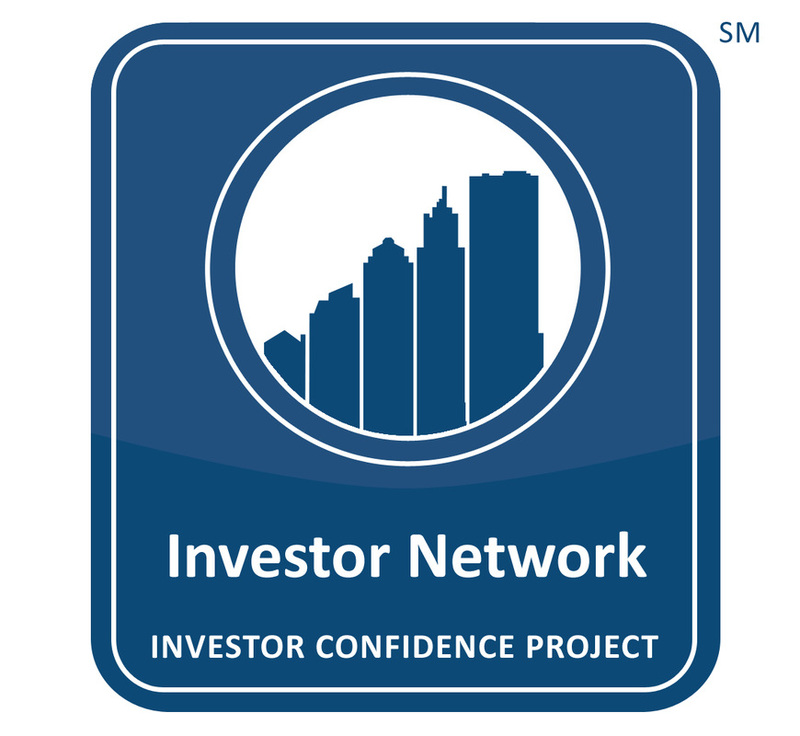 Thank you for joining the ICP Investor Network program. The information gathered by this form will be used to promote your organization by ICP and listed on the ICP website as a member of the ICP Investor Network. ICP appreciates your participation and support. The key requirement of the program is that investor participants promote ICP as a recommended best practice to their partners including project developers and building owners.